Seamstress For The Band: New Van's Tennis Shoes: Day Glow is Back! Again! Van's tennis shoes have come a long way! And seriously, how many times are they going to bring day glow back, you know your kinda old when you have walked into Target and discovered day glow was back in not once but twice! 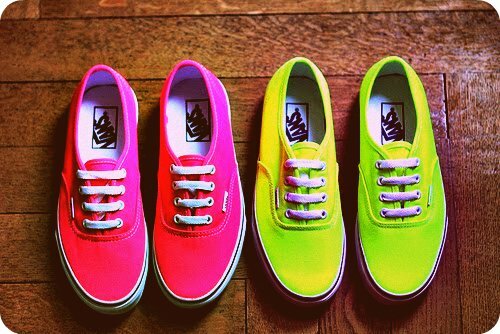 If I was going to wear it again or encourage my kids to it would be a classic item like Van's though for sure! 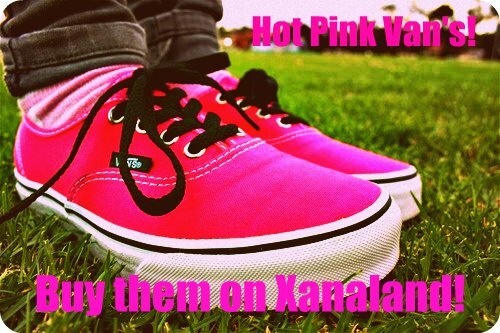 Buy the pink ones right here on Xanaland!